Your inner history buff will appreciate Basilica of Saint Lawrence and Noah Bud Ogle Cabin. Explore hidden gems such as Dry Falls and Grotto Falls Trail. 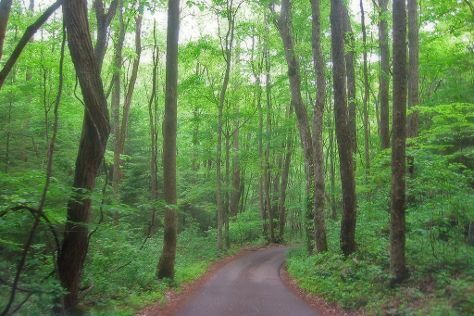 Explore Asheville's surroundings by going to Wheels Through Time Transportation (in Maggie Valley), Gatlinburg (Doc Collier Moonshine, Sugarland Cellars, & more) and Great Smoky Mountains National Park (Roaring Fork Motor Nature Trail, Laurel Falls, & more). The adventure continues: explore the fascinating underground world of Tuckaleechee Caverns, sample the fine beverages at Ole Smoky Distillery, steep yourself in history at Biltmore Estate, and admire all the interesting features of Blueridge Parkway. To find ratings, reviews, where to stay, and tourist information, you can read our Asheville travel itinerary planner. In September, plan for daily highs up to 77°F, and evening lows to 57°F. Finish up your sightseeing early on the 17th (Sun) so you can travel back home.